All Elite Wrestling has announced a new member of its roster. 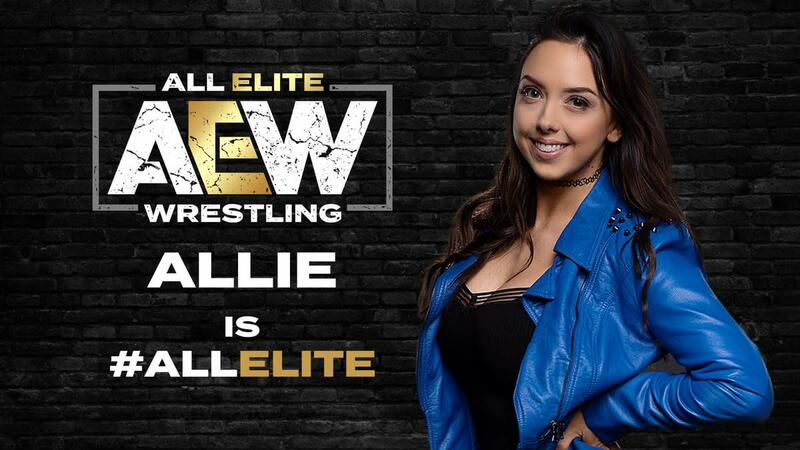 On this week's Road to Double or Nothing episode, it was revealed that Allie has signed with AEW. She was announced as Allie but has also wrestled as Cherry Bomb during her career. Former WWE seamstress Sandra Gray made an appearance in the Road to Double or Nothing video and worked with Allie on her gear. Allie has held Impact Wrestling's Knockouts Championship twice. She's recently played "Dark Allie" in Impact, with her being possessed by Su Yung in storyline and Rosemary and Kiera Hogan fighting to get her back. Dave Meltzer reported yesterday that Sadie Gibbs has also signed with AEW. Allie and Gibbs join Britt Baker, Penelope Ford, Kylie Rae, Nyla Rose, and Bea Priestley in the women's division. Aja Kong and Yuka Sakazaki have been announced as wrestling at Double or Nothing.